‘Entourage‘ is a crazy successful television series that was on HBO for 8 seasons, with the series ending in 2011. The series has been optioned for big screen treatment to give us all another peek in the sometimes glamorous, always real life of Vince Chase (Adrian Grenier) and his gaggle of friends and the pit viper agent, Ari Gold (Jeremy Piven). We saw in the series that Gold’s much put-upon assistant Lloyd has moved over to TMA. 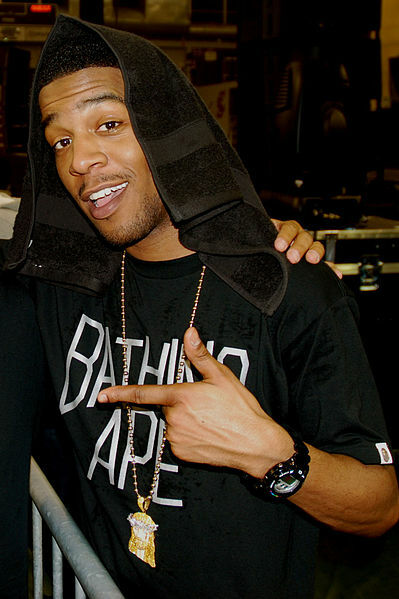 The new assistant for Gold has finally been cast as Scott Mescudi a.k.a. Kid Cudi. Mescudi is about to open opposite Aaron Paul in the Dream Works video game adaptation ‘Need For Speed‘ and just wrapped the films ‘James White‘ and ‘Two Night Stand‘. Kid Cudi will also be performing at Coachella now that festival season is about to get under way. This entry was posted on Friday, February 21st, 2014 at 11:30 am	and is filed under Film, Music, News, Television. You can follow any responses to this entry through the RSS 2.0 feed. You can skip to the end and leave a response. Pinging is currently not allowed. « Tina Fey Learns ‘The Taliban Shuffle’!! !